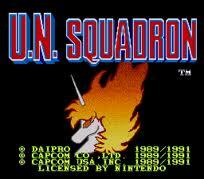 U.N. Squadron is a 1989 side scrolling shooting game released for the CPS arcade hardware by Capcom. 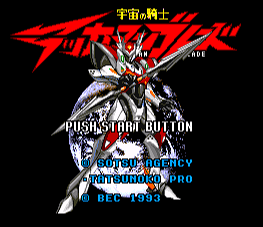 The game was released in Japan as Area 88 (Japanese: エリア88, Hepburn: Eria Hachi-Jū-Hachi?) and is based on the manga series of the same name, featuring the same main characters. Here, their mission is to stop a terrorist group known as Project 4. It was followed by the sequel Carrier Air Wing. Tekkaman Blade (Japanese: 宇宙の騎士テッカマンブレード Hepburn: Uchū no Kishi Tekkaman Burēdo?, lit. "Space Knight Tekkaman Blade") is a 1992 Japanese anime television series created by Tatsunoko Production and Sotsu Agency. The series was directed by Hiroshi Negishi and written by Mayori Sekijima and Satoru Akahori. The story follows an organization called the Space Knights and their war against the alien invaders of Earth called Radam. The Space Knights are assisted by a mysterious person called Takaya Aiba who has the ability to transform into a mechanized suit of armor called Tekkaman.The main anime series aired in Japan between February 18, 1992 and February 2, 1993 on TV Tokyo and ran for 49 episodes. This was followed by three special episodes and a sequel series called Tekkaman Blade II which details the events following the Radam invasion. 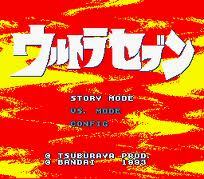 A video game titled "Uchū no Kishi: Tekkaman Blade" was also released in Japan in 1993. The original series was released in English in Australia and the United States as Teknoman despite being highly cut. Ultimate Fighter - known in Japan as Hiryū no Ken S: Golden Fighter (飛龍の拳スペシャル ゴールデンファイター? ), is a 1992 fighting video game developed and published by Culture Brain for the Super NES.An updated version of it titled Hiryū no Ken S: Hyper Version (飛龍の拳スペシャル ゴールデンファイター ハイパーバージョン?) 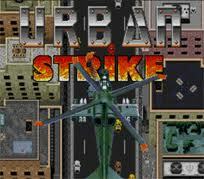 was later released exclusively in Japan for the same platform on December 11, 1992, which adds a choice of turbo speed levels to increase the speed of the combat. Ultimate Mortal Kombat 3 (UMK3) is a fighting game in the Mortal Kombat series, originally developed and released by Midway Games to arcades in 1995. 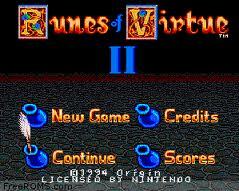 It is an update of 1995's earlier Mortal Kombat 3 (MK3) with an altered gameplay system, additional characters like the returning favorites Kitana and Scorpion who were missing from MK3, and some new features.Several home port versions of the game were soon released after the arcade original, although none were completely identical to the arcade version. 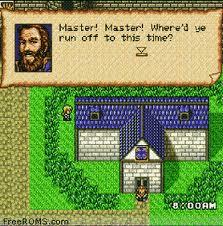 Some later home versions followed the arcade original with more accuracy. Some versions were released under different titles: Mortal Kombat Advance for the Game Boy Advance in 2001 and Ultimate Mortal Kombat for the Nintendo DS in 2007. The iPhone/iPod version recreating the game using a 3D graphics engine was released by Electronic Arts in 2010.Ultimate Mortal Kombat 3 was mostly well received and has been considered a high point for the Mortal Kombat series. However, the iOS remake and some other home versions were received poorly in comparison to the arcade game.Ultimate Mortal Kombat 3 was updated to include more content from previous games in the series as part of the console-exclusive Mortal Kombat Trilogy in 1996. 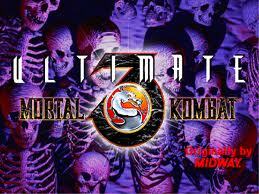 The 2011 compilation Mortal Kombat Arcade Kollection includes an emulation of UMK3 as well as the first Mortal Kombat and Mortal Kombat II. 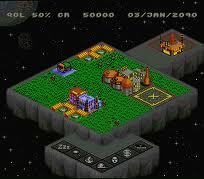 Ultra Seven is an Action game, developed by Bec and published by Bandai, which was released in Japan in 1993. 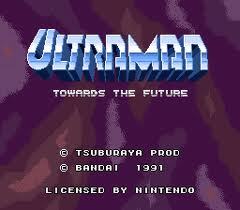 Ultraman: Towards the Future (ウルトラマン Urutoraman?, "Ultraman") is a multi-platform fighting video game based on the contemporary Ultra Series, Ultraman: Towards the Future. 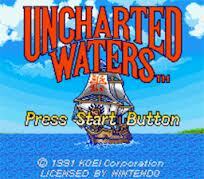 This game has received mostly negative reviews due to its high difficulty and its poor graphics. Umihara Kawase (海腹川背?) is a series of platform games, starring a nineteen-year-old Japanese school girl, Kawase Umihara (海腹 川背 Umihara Kawase), who has somehow become lost in a world of mutated salt-water and fresh-water creatures. She wears her school uniform along with a bright pink rucksack. 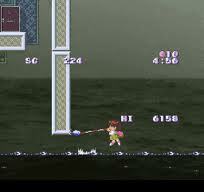 The Umihara Kawase games' main distinction is their tranquil fish and bird infested worlds and the rope physics, which defines the gameplay.The name is written as four kanji characters: umi, hara, kawa, se meaning sea, belly, river, back. This is an extraction from a Japanese kitchen idiom "Sea fish are fat in the belly; river fish are fat in the back." Shun means "in season".The protagonist was first seen in the eponymous Super Famicom release of 1994 and later the sequel and re-release of Umihara Kawase Shun (海腹川背・旬 Umihara Kawase Shun) for the PlayStation in 1997 and 2000. 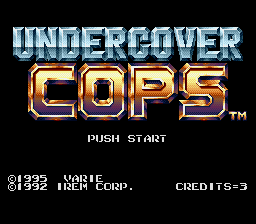 Undercover Cops (アンダーカバーコップス?) 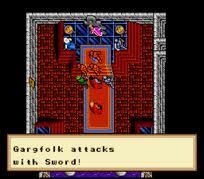 is an arcade-style beat 'em up video game by Irem. 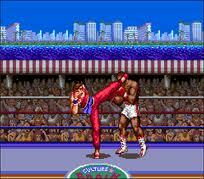 It is Irem's first attempt in the modern beat 'em up genre that was founded by Capcom's Final Fight. Players control "city sweepers", a police agent-like group who fight crime by taking down thugs in New York City of the year 2043.A few years later after its release, a lot of the team (artists, programmers, composers, designers, etc.) who made the game went on to form Nazca, who created the Metal Slug game series. 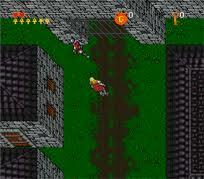 The team have also worked on the Hammerin' Harry series, Superior Soldiers, In the Hunt and GunForce 2. In Japan, the game inspired a little-known series of underground comics due its brief popularity. Console conversions of Turrican II for the Mega Drive and Game Boy were produced by The Code Monkeys for Accolade, who had kept the rights for the console ports of the franchise. But at a late stage, Accolade also acquired rights to produce a game spin-off of the Jean-Claude Van Damme movie Universal Soldier and decided to rebrand the game as Universal Soldier. Turrican's sprite was changed into a marine and several other substitutions were made. Amongst other changes, the eyeballs-walking-on-fingers became mini tanks, and instead of a large mech/steel dragon in the first stage, the player now faces a large representation of Dolph Lundgren's character in the film.The three shoot 'em up stages, cut out from the port, were replaced by the developers with three original stages (a Vietnam jungle, a fortress, and a motel/car junkyard) that in theory should link the game to the film's atmosphere. The rest of the original Turrican II stages are still present and remain mostly intact in overall design, though some of them appear in different order, along with the three new levels differently scattered through them. 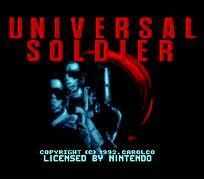 A Homebrew version of Universal Soldier was also produced for the SNES, but it was never published and only exists in the form of leaked ROM.